Join Annette for this fun NEW bag class! The Poppins Bag is a large zippered bag for carrying all your stuff! Pockets on the inside and outside. Can use yardage or 2 1/2" strips and 30" double-slide zippers. 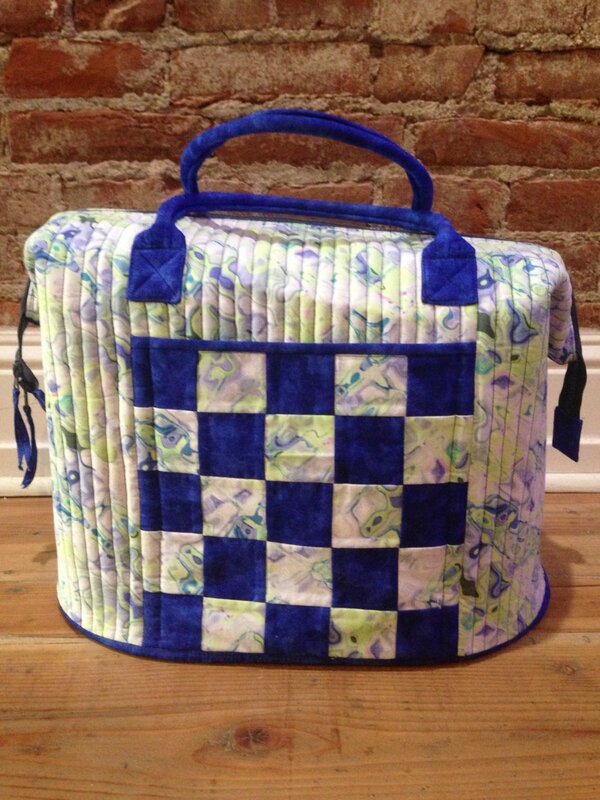 Great for carrying all your sewing projects! Finished size: 18" wide x 12" deep x 14" tall.